Kokand is the city in the Fergana region on the East of Uzbekistan, in the Southwest part of the Fergana valley. The population is more than 220 thousand people. Kokand under different names has been known since the tenth century, but it falls to the flourishing of the XVIII century when the city became the capital of the Kokand Khanate. Kokand has a very ancient structure, it consists of a new and old parts. 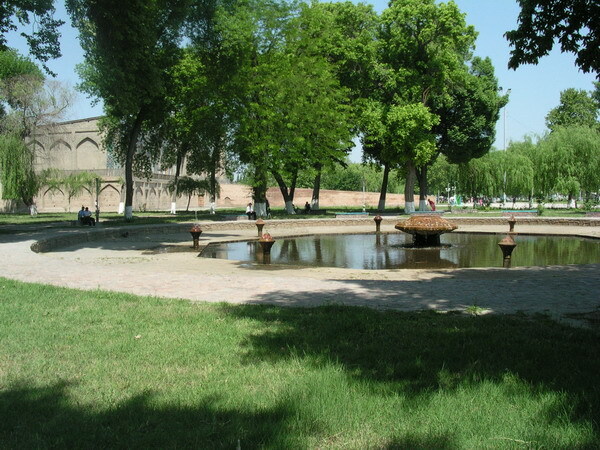 New town consisted of trades, administrative buildings, banks, residences, and in the old part the khan palace Urda, monuments of national and residential architecture, mosques, madrassahs and memorial constructions of the XIX – ХХ centuries remained. The first date about Kokand we may see in the notes of the China diplomat and traveler Zhang Qian, who visited Davan, which was on the territory of the modern Fergana valley. In 138 BC. Zhang Qian was sent by the emperor U-di to the Central Asian peoples for the help in military operations against the Khuns. The Khuns devastated the northern outlying districts of China. Existing now Kokand was built as a fortress in 1732 on the site of the old fortress Eski-Kurgan. 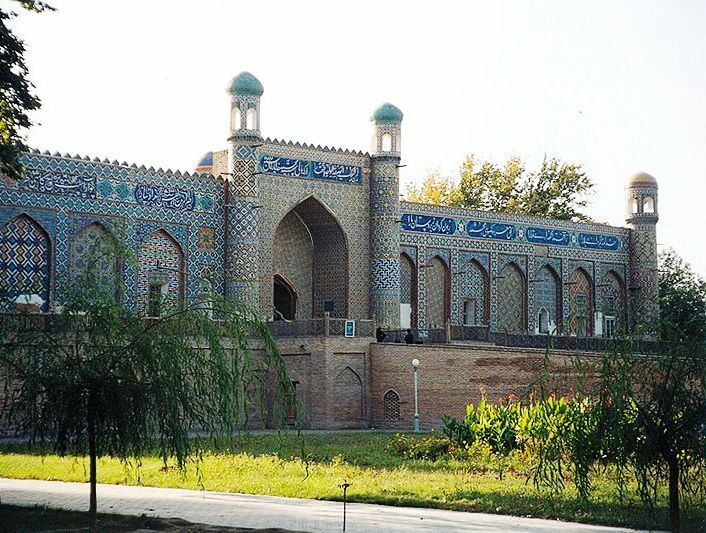 The city at the height of the Kokand Khanate was a major religious center of the Fergana region of the time, there were more than 300 mosques. The original palace Khudoyarkhan (1871) – the palace of the last khan of Kokand remained till our days. Today it is the local historical museum. In the liner majolica of original range of colors and patterns not found in other regions of Uzbekistan is used. Madrassah Norbut-Biy (1799) and mausoleum Modarikhon (1825) are also of interest.